Twelve people including two police officers, three cartoonists, and seven journalists have been killed today, with at least 5 other victims in critical condition. 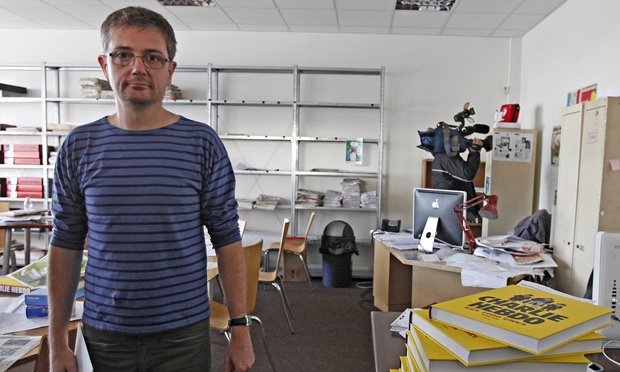 The gunmen, who were filmed shouting “Allahu Akbar” and “We have avenged the prophet” as they stormed the offices of the satirical magazine Charlie Hebdo, can be assumed to be Islamist terrorists responding to satirical images published in the magazine. “The International Humanist and Ethical Union (IHEU) is appalled and deeply saddened by the attack on the offices of the magazine Charlie Hebdo in Paris, France, today. This is an horrific and profoundly illiberal attack. It is an act of Islamo-fascist terrorism, aimed at silencing freedom of expression about religious beliefs, and about Islam in particular. No person who genuinely recognises the humanity of their fellow citizens, or who is remotely interested in the good of society at large or for any section of society, could ever justify this terrorism. Reading words and seeing images that satirise your beliefs is as far removed from a warrant to murder as it is possible to get. Europe has a tradition of humanism, in which both freedom of expression, and freedom of thought and belief, including freedom of religion, are respected and upheld in law. To criticise beliefs, including through satire and ridicule, does not contravene others’ freedom of belief. Rather, criticism is essential to freedom of expression. Murder on the other hand is the ultimate nullification of all a person’s freedoms and being. 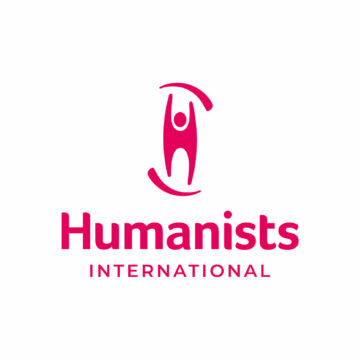 Update 8 Janurary: IHEU has released a new version of the international humanist symbol, in solidarity with those killed in yesterday’s violence (below) and re-published images from Charlie Hebdo.